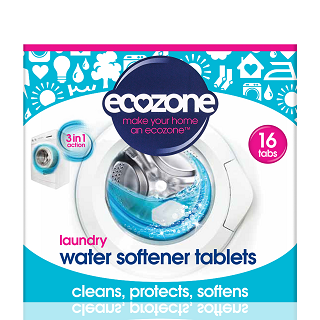 These new laundry water softener tablets from Ecozone are a 3 in 1 action formula, helping to clean and protect your appliances while softening the water used in your washing machine cycles. Each box contains 16 tablets. Regular usage of our Water Softener Tablets could even help save your energy bill by preventing limescale encrustation on the heating element and drum and maintaining an energy efficient appliance. 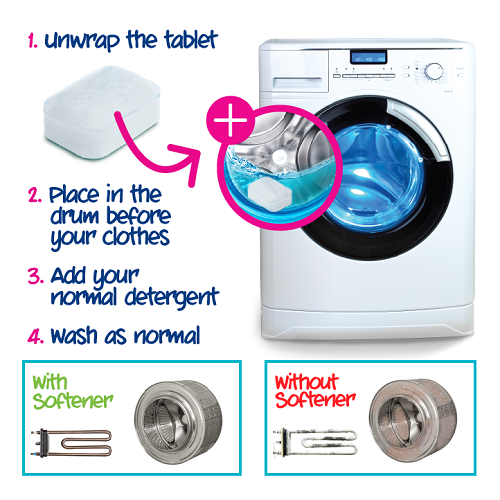 Simply place one tablet in each wash along with your clothes and normal detergent and that’s it! 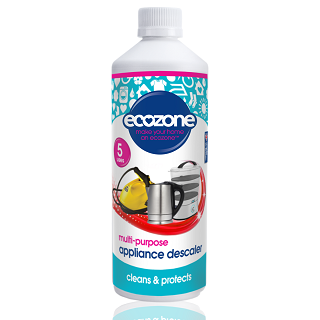 Washing machine manufacturers recommend regular use of anti-limescale tablets to prevent the build-up of limescale occurring. They can also save you money by allowing you to reduce your fabric softener dosages. Prevents limescale build up from occurring. 2) Place in the drum before your clothes. 3) Add your normal detergent. Citric Acid Monohydrate, Sodium bicarbonate, Sodium Carbonate, Sodium Silicate, Sodium chloride, Sodium Sulfate, 2- Propenoic Acid Sodium salt (Polyacrilic Acid), Sodium Citrate, Cellulose, Polyethilenglicol, Polyaspartic Acid, Alcohol propoxylate Ethoxylate , Carboxymethylcellulose Sodium Salt, water, Talc.